Warehouse Management Systems or wms system represent one of the most important categories of enterprise systems. WMS System is a software through which organizations and businesses manage and control the various operations that take place in their warehouse. Linbis warehouse management software control process from the point of entrance of materials to the point of their exit from the warehouse. Warehouse Inventory Management Software provide an all-encompassing material, equipment and labor access to warehouse operations. They manage the various steps in the supply chain management such as order shipping and employee engagements. WMS system work hand-in-hand with various business intelligence. It provide data helpful in the reorganization of operations and processes carried out in the warehouse. As an example, Warehouse Management System affords an organization visibility into all inventory at any point and period. It can as well be used to control supply chain execution from producer to warehouse and then to a distribution center or consumer. It is often combined with transport management systems. Although expensive, a Warehouse Management System serves a lot of purposes and is very beneficial to its users. Receiving: With Linbis WMS system you can individual stock products, handled and stored, with automatic ID labels and barcodes scanning. Inventory management: You can track inventory levels, orders, sales and deliveries. Packing: Linbis warehouse management system makes packing easier by providing the exact location of the package. Easy integration with any automatic system for package picking at shelve. Repacking: Automatic check for error while repacking pallets, containers or boxes. Billing; make invoice to your customer at the right moment and with the right product. All of these transaction are combined into an ERP system to effectively manage warehouse inventory operations. For example, inventory is kept up-to-date, items are tracked when traveling in the supply chain and any necessary information is accessed as needed from the software application. Live Key Performance Indicators Dashboards (KPIs) allow for decision making based on peak times, peak season, allocation of goods per area, incoming cargo against warehouse capacity and much more. Mobile applications are a significant component of successful WMS systems. The use of barcoding and task notifications for easy allocation, repacking and verification of goods before shipping. Any Freight Forwarder software must have this tool optimize the customer operation and their picking and shipping procedure. While you, as a manager, may not always be present on the warehouse floor, technology of today allows you to be there virtually. The Warehouse Management System (WMS) offered by Linbis Logistics Software Application allows for better control over the movement and storage of goods in warehouses during daily operations. Transactions such as Receiving, Inventory Management, Packing, Repacking, Loading, Picking and Shipping Billing are combined into this ERP system and lets you manage all your warehouse operations effectively. For instance, you can keep your inventory up-to-date, tracked your shipped items while they are traveling in the supply chain and acquire all the necessary information you need from the software application whenever and wherever distribution center needs. Cost of operation in a warehouse is greatly reduced when a well-built Warehouse Management System is employed to efficiently manage space and labor in the warehouse. This inventory management goes a long way in waste reduction. Flow in the warehouse can also be hugely enhanced as the ERP system helps to ascertain where and when to place raw materials, equipment and finished products. Floor simulators, which are essential features of some sophisticated wms systems, affords users the benefit of developing plans within floors, and placing certain equipment, shelves, racks and pallets in specific locations in the distribution center. Warehouse management systems offer managers some degree of flexibility in managing the warehouse. This flexibility is exhibited through the First in First out (FIFO) and Last in First out (LIFO) rules as the LIFO principle gives room for shelves and racks to be properly placed for space optimization while the FIFO principle reduces waste by ensuring the items prone to perish and expire are first taken out. As one of the very important features of Linbis WMS System, is visibility. Linbis gives real-time information on any stock through the use of serial numbers, barcodes, and radio-frequency identification tagging. This feature allows warehouse managers keep track and record of every stock on entry, movement and exit in the warehouse. Through this feature, managers can keep track of the rate of demand of each and every item in the warehouse. The items in greater demand at any point in time can be known to enable the management make adequate investments and market decisions. In the event of an order cancelation, the faulty batch can be identified as serial numbers are used to retrace the items back to their initial batches. This saves time and reduces waste at the same time. Linbis WMS System introduces a unique feature that ensures inventory is kept at the least level possible yet products can be made available when needed. Through this feature, materials are not stored in the warehouse for long periods but are received soon enough to meet a matching order. A Warehouse Management system employs a tool that provides precise forecasts on the demand of an item. This forecast helps to match the inventory level and the demand of such item to reduce safety and carrying costs as well as waste in terms of manufacturing. Picking and Shipping is one of the key features of most warehouse management systems is constant improvement. This feature affords companies and businesses the platform to stay ahead of market trends. Company can continue improving their operations as Linbis WMS System constantly come up with new features that meet with the ever-changing market practices. Cloud warehouse management systems enables the automatic addition of new and improved features to the ERP system. Thereby reducing the workload carried out by the IT department of the company. However, this feature may not be available to companies that use these systems on-premises. Employee accountability is increased with the use warehouse management system. Linbis like most programs require individual user accounts before employees can record transactions. Along with theft and crime reduction, this feature also introduces employee training opportunities for its users. Competitive advantage and business secrets are kept safe. Only authorized access is granted to certain reports and records depending on the user. Since users are usually required to log into their accounts to be able to access certain information in their inventory management application this allow role per user. Alongside the optimization of the location of materials and equipment, warehouse management systems also ensures the optimization of inventory movements around the warehouse. Users can decide the optimal time of receipt of item based on the availability of labor and equipment, and they can also plan the outbound movement course of an item. The variety of algorithms provided by a warehouse management system also takes into consideration the location of employees. This enables employees increase their productivity as they are allowed to concentrate on the tasks nearer to them. Putting factors such as proximity, expertize and skill level into consideration, a warehouse management system can ascertain the employee best suited for a particular job. A wider understanding of employees and their activities can be acquired with the use of a warehouse management solution. With the help of labor forecasting and key performance indicators, managers can identify employees who carry out their duties well and when more or less staff is required. Linbis warehouse management systems come with tools that manage billing systems and work hand-in-hand with another system that does the job. 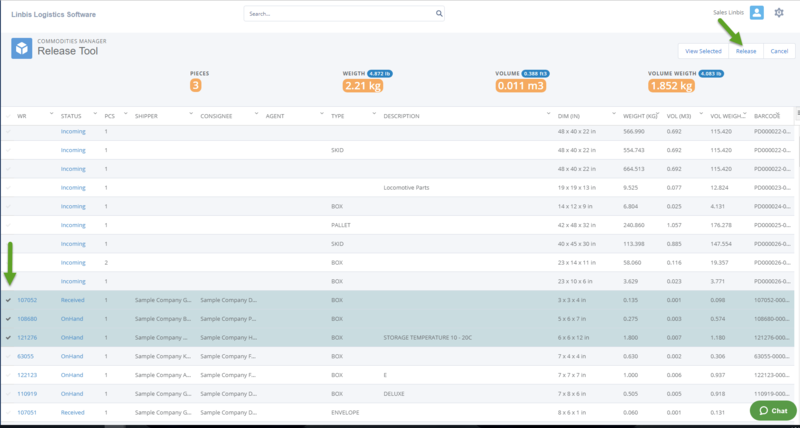 By this tool, companies can monitor operations within the warehouse in relation to a particular supply and create a proper billing for such transaction. These solutions also execute payments on credit cards and work with most e-commerce platforms. Beside putting warehouse operations in order within a firm, warehouse management systems also improve the relationship between the firm and their customers and suppliers by optimizing both demand and supply chains. This optimization ensures that suppliers do not wait too long for the firm to receive supplies and customers benefit from enhanced order fulfillment, fewer order mistakes and reduced delivery times. Improved productivity as well as profitability improves the mental and emotional state of employees as they feel really good about their jobs. When specific efforts are channeled into optimizing operation time, there is a coherent flow of operations and hence job satisfaction. Despite the fact that all employee related issues in a warehouse cannot be addressed by a warehouse management solution, but the frustrations and stress that reduces employee efficiency would be greatly eliminated and more chances at success can be attained with a good inventory management and software application online. Warehouse management systems handle the goods and materials brought into the warehouse. Stock data is input into the system with the help of physical processes like radio-frequency identification tagging and barcode scanning from the vehicle’s manifest tools. This way, each material can be properly identified and properly stored. Goods to be processed are separated from others by picking resources; the complete cycle movement of every item is managed by machine related functions; warehouse items and products supplies are managed by pack and ship features; while the loading and unloading of pallets are managed by pallet estimate features. Orders and their completion processes are managed by warehouse management systems by providing accurate product flow and establishing adequate connection with carriers and consignees. A faster delivery of perishable items is fostered by the use of appropriate triage systems and digital planning tools to minimize waste and increase profit. As proper inventory control can only be achieved by RT tracking, warehouse management solutions offer you the opportunity to monitor inventory in your warehouse and know when to restock. Activities in the warehouse are also duly monitored with the help of workflow management tools. Multiple warehouses can also be monitored with some of the recent features added to most warehouse management systems. Most warehouse management systems are fully integrated into some other enterprise solutions such as accounting and customer relationship management solutions to offer an all-encompassing service to users. Backups are also essential features of warehouse management systems and is important in times of unforeseen events. Labor management modules are now being integrated into most warehouse management systems to identify and maintain staff and staff schedules as well as match suitable employees to various tasks. This feature sometimes include round-the-clock monitoring of employees, a planning dashboard and a report feature. Support features such as time-bound offers of telephone or on-site support and direct response support systems are usually embedded in the vendor’s service level agreements to ensure they are adequately supplied. Ease in adaptability and reduction in costs of training can be achieved with user-friendly interfaces that have spontaneous controls. This feature makes a warehouse management solution more valuable to a company as it is also an attraction to customers. There are three basic types of warehouse management systems with quite similar features and functions but different packages and mode of delivery. This type of warehouse solution is usually sold as a specialized product and void of all forms of supply chain functions. Businesses can adequately manage inventory, count cycles, monitor deliveries and freights and keep record of product expiration dates with this type of warehouse management system. Packing, delivery optimization, picking, shipment duties and slotting tools are also available on this type of system. Cohesion between the various aspects of a business can be achieved by integrating other applications in a warehouse management system. This type of system offers complete management of the entire supply chain, but it is however vital to reduce the overlapping functions within the system. This system covers the major applications required for third-party logistics operations which includes human resource management, accounting, customer relations and supply chain planning. It also offers a function that executes supply chain processes. Cost is to be minimized: Your Company gets to make extra time and monetary expenses if your warehouse is not well organized. Since warehouse management systems help organize the activities in your warehouse, these systems can be employed once you realize that extra expenses are being made on supply receipt and order deliveries. Safety becomes a Priority: When you become concerned about risks and accidents that might occur in your warehouse, seek the help of warehouse management software in the reduction of accidents and disasters. The floor planning module of the system as well as its inventory control management help to avert and prevent accidents in warehouses. Manual Data Entry May Result in Mistakes and Extra Cost: when manual data entry can lead to a mistype or take more time, then the use of a warehouse management solution may be important. As an example, barcode scanners can automatically pick up product data and have them entered and stored in the system in a more reliable and faster manner than manual entry. Business Growth is Eminent: The various features of a warehouse management system such as customer relation management and staff scheduling management are key for the growth and advancement of any business. Proper inventory control which is important for waste reduction and order fulfillment is another feature offered by these systems to ensure the growth of any business employing their services.